Batterie correspondant parfaitement à mon tracteur ISEKI . Reçue quelques jours après ma commande. Manque par contre quelques explications en français . This purchase replaces a Type 049 that was some six years old. A cell had gone down. Probably not the batteries fault. The battery is fitted to a classic car and gets little use. Great service from Tayna. Very well packed and promptly delivered. Once fitted the Type 049 provides excellent cranking performance. Great service , great product , great selection. Great service.. would and will use again. Great battery, good price, fantastic delivery & packaging. Ordered 4:00pm one day, delivered 10:00am the following day - just how internet shopping should be! Was sent 049h battery (not what I ordered), but had to fit to my customers machine to get it up and running and then found that the terminals were reversed, so had to modify the battery leads to fit battery. When I complained , I was told that an 049h now replaced the 049 battery and had trouble getting the point through to them that the terminals were wrong, I had to drive to my customers to take photos to send them. Tanya Batteries would not send a replacement and collect the dodgy battery later so had to drive to my customer yet again to collect the battery so it was available for collection when the new one arrived. The new battery they sent turned out to be an 049, which is what I had ordered in the first place! I had to make several wasted journeys of 75 miles, had to find packaging for dodgy battery, several phone calls, the wasted hours-cost me £££ through no fault of my own! Just not cost effective. I have no complaints about this battery. It lasted 6 years which is very reasonable. I have just upgraded to a Duracell 049 because it has a higher CCA rating. I am restricted to 049 batteries because of space limitations. Great product - fitted in my wife's Miata and now the car starts in the mornings even after being parked up for a few days ! With quick delivery and a good price I'd definitely recommend Tayna Batteries. Bought my Honda in 2004 . 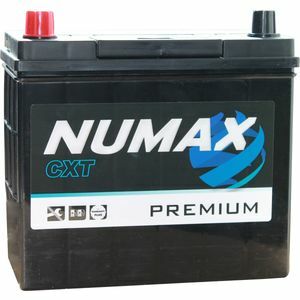 In 2006 fitted a new NUMAX 049 battery,that battery lasted for nearly 10 years .Searched on line for NUMAX and the name TAYNA BATTERIES came out on top.Purchased the battery at a very good price , it arrived within 2 days , and was very well packaged . I would definitely use TAYNA BATTERIES again and recommend to anyone who's looking to buy a new battery. Next day delivery, clear instructions on what is needed to do, and very well packaged. Tayna provided exactly what I had ordered and it was received the next day, as expected. Fitted To: Kubota B1700 27HP - 3 cylinder. Diesel OLD. Excelent battery and service, very UPSET that I have to be a member of some "face tube" type website to claim my discount, bought three batteries in a month and had to pay full price for them because I'm not some saddo who spends all day on daft sites!!!! !